You never know who, or what, is waiting for you during the opening of ‘Happy Camp.’ The horror-thriller is set to open nationwide on March 25 through such On Demand platforms as Time Warner, Comcast and DirecTV, and on iTunes. 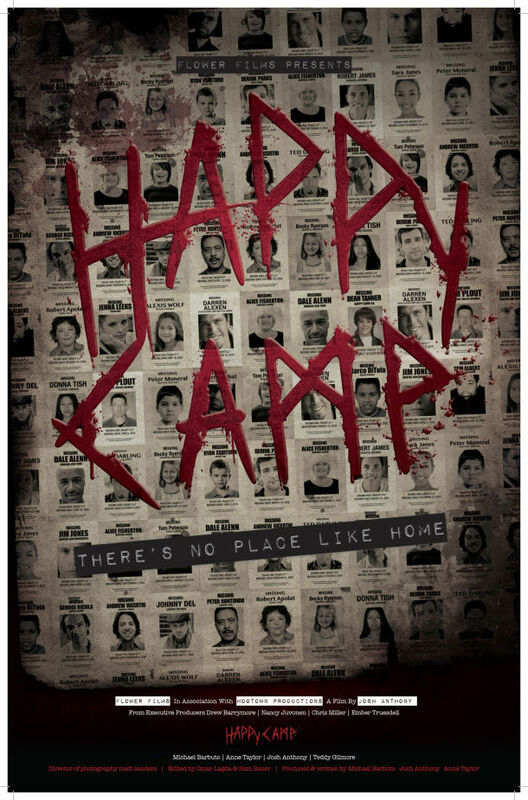 ‘Happy Camp,’ which was executive produced by Drew Barrymore and Nancy Juvonen, will be distributed by Gravitas Ventures. The film was directed by first-time filmmaker Josh Anthony, who wrote the script with fellow actors Anne Taylor and Michael Barbuto. The thriller also stars Teddy Gilmore. In the vast wilderness of the Klamath National Forest lies the small logging community of Happy Camp. With a population consisting of only a few hundred souls, this mysterious mountain town has become world renowned for its staggeringly high number of Missing Persons Cases. Walt and Sandy Tanner adopted a young boy named Michael at the age of 9 and brought him home to Happy Camp where the couple were raising their young son, Dean. Upon Michael’s arrival, the two boys shared an immediate bond and for the first time in Michael’s life, he had a family. After living in Happy Camp for only two years however, tragedy struck on the afternoon of October 22, 1989 when Dean Tanner was abducted from the family’s home. Michael, outside with his brother at the time, and the only witness, oddly had no recollection of the violent crime. Twenty years later, a grown Michael Tanner has mustered the courage to face his past in an effort to remember what actually happened to his brother on that fateful day. Under the provocation of his girlfriend, Anne, Michael has reluctantly agreed to have his journey documented by a professional film crew. However, what Michael, Anne and the crew uncover are dangerous secrets about Happy Camp that will change their lives forever. For more information on ‘Happy Camp,’ visit the film’s official website.